Several statues and wall paintings of different gods were uncovered by the Yale University Expedition to Dura Europos, Syria. These artistic representations pre-date the city's destruction that occurred in AD 257. Arzu, an Arabian god, riding a camel. 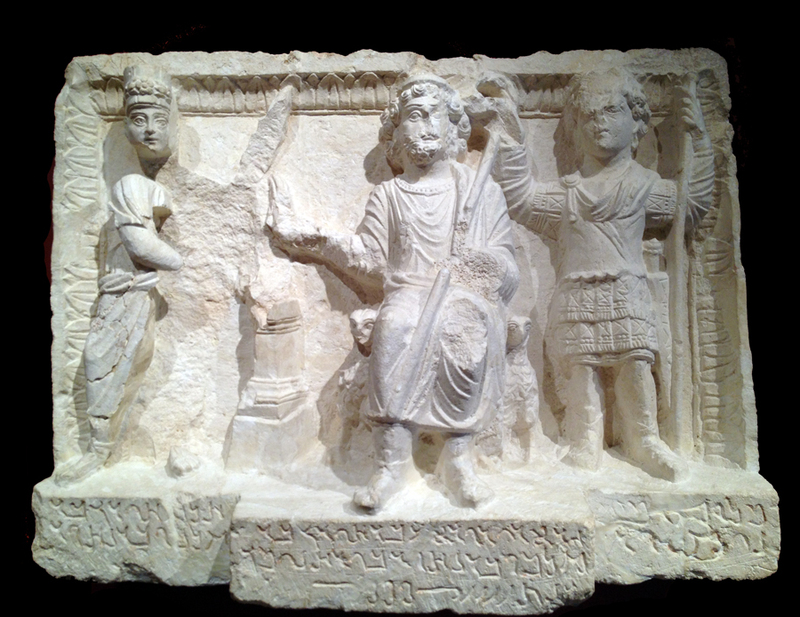 This relief was found in the Temple of Adonis in Block L5 at Dura Europos. 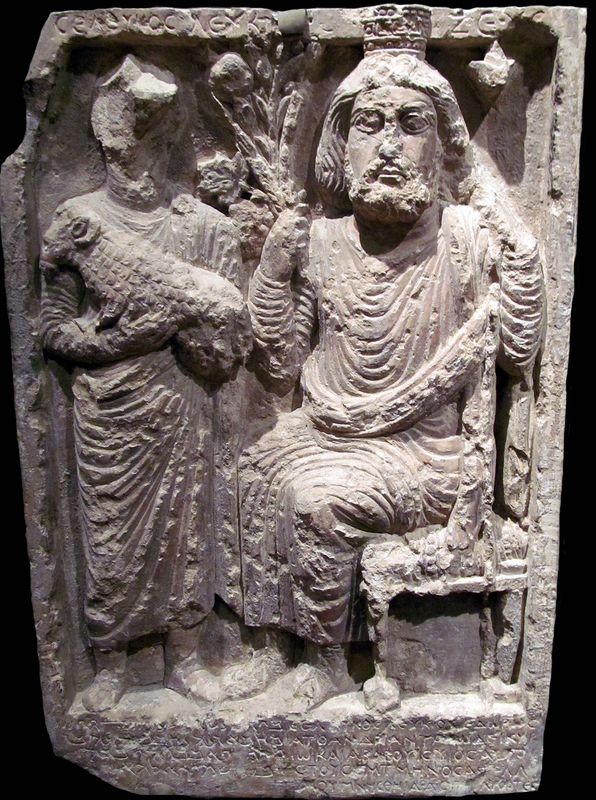 This relief is dated to the second century AD. Arzu with shield and spear. 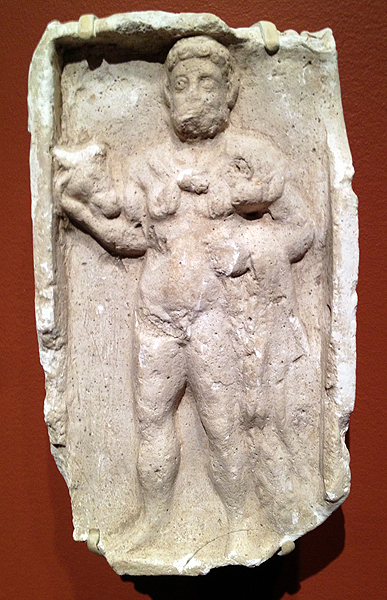 This limestone relief was found in the Temple of Zeus Megistos in block C4 at Dura Europos. 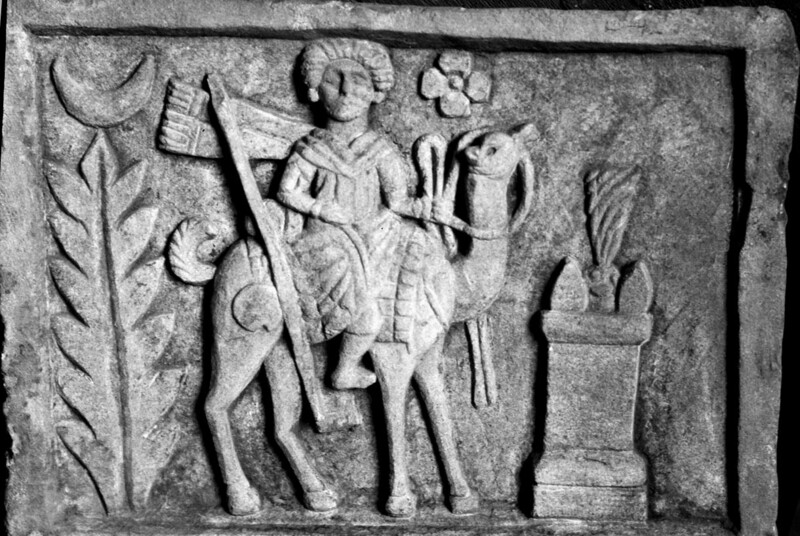 Irahibol, Palmyrene sun god, found in the Temple of Gadde in block H1 at Dura Europos. 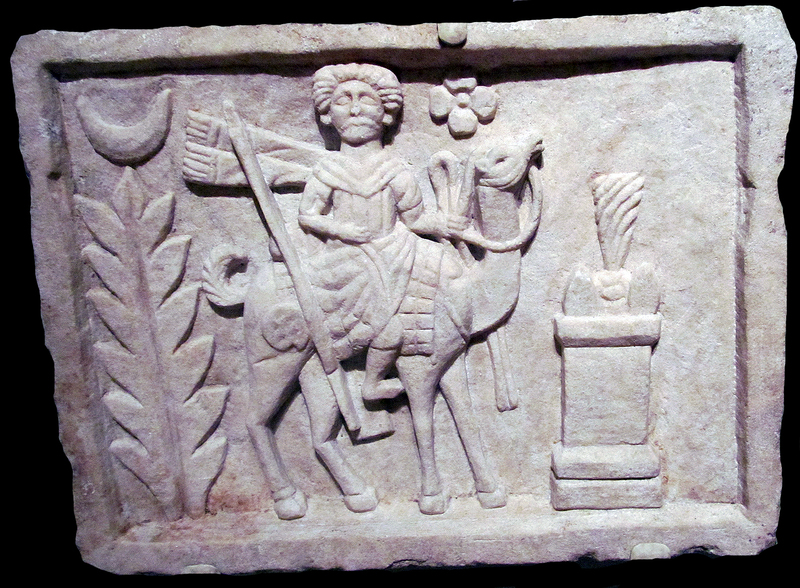 This relief is dated AD 165 - 192. Relief from Naos 3 at the Temple of Gad at Dura Europos (Rostovtzeff et al 1939: 258, 297, Plate XXXV). The Palmyrene text records "The Gad of Dura; made by Hairan bar Mliku bar Nasor, in the month Nisan, the year 470 (AD 159)". To the right of the main inscription is the name of the founder of Dura: "Selecus Nicator." 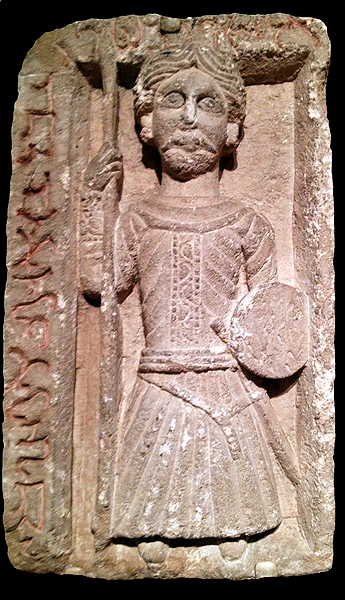 To the left of the inscription is: "Image of Hairan bar Maliku bar Nasor." The central figure is the Gad of Dura, the youth to Gad's left is Selecus Nacator and the priest to the right of Gad is the dedicant named Hairan bar Maliku bar Nasor. Cult relief from the Temple of Zeus Kyrios/Ba'l Shamen at Dura Europos (Rostovtzeff et al 1939: 292, 308; Plate XXXVII). The relief shows a dedicant named Seleucus holding an ram to be sacrificed to the god. The bilingual inscription (Palmyrene and Greek) records that "In the month Tishri, in the year 343 (AD 310) this stele was erected by Bar-ateh (given as Seleucus in the Greek inscription), son of Luke, and his son Ababuhi, to the god Ba'al Shamin." 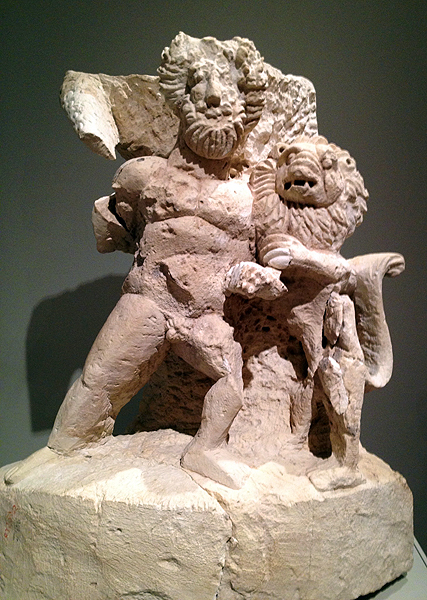 Relief of Hercules and the Nemean lion from the Temple of Zeus Megistos in block C4 at Dura Europos. Dated approximately from AD 160 - 256. 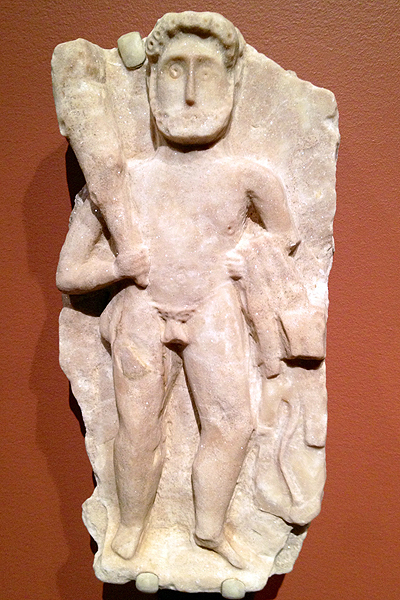 Relief of Hercules with a club from Dura Europos. Yale accession number 1935.51. Dated from approximately AD 100 to 256. 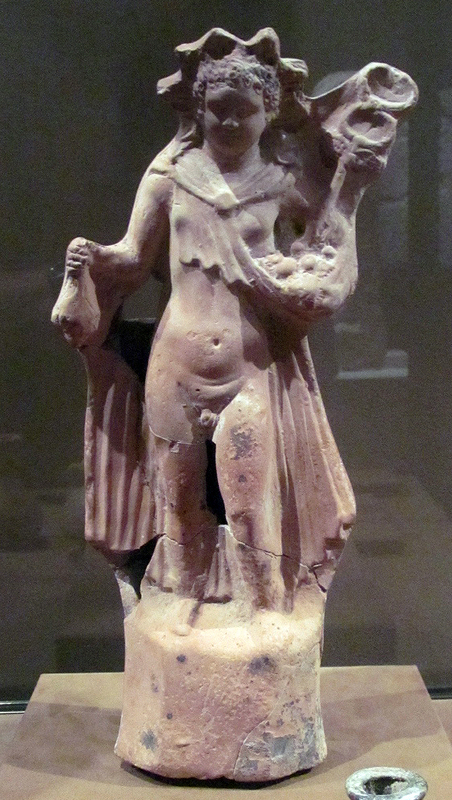 Terra cotta figurine of Hermes as a child holding a bag (money?) in his right hand and cradeling a cadusses in his left arm. Excavated from tomb 24 at Dura Europos. Height = 30.1 cm, width = 12.4 cm, and thickness = 6.2 cm. Yale accession number 1938.4965. 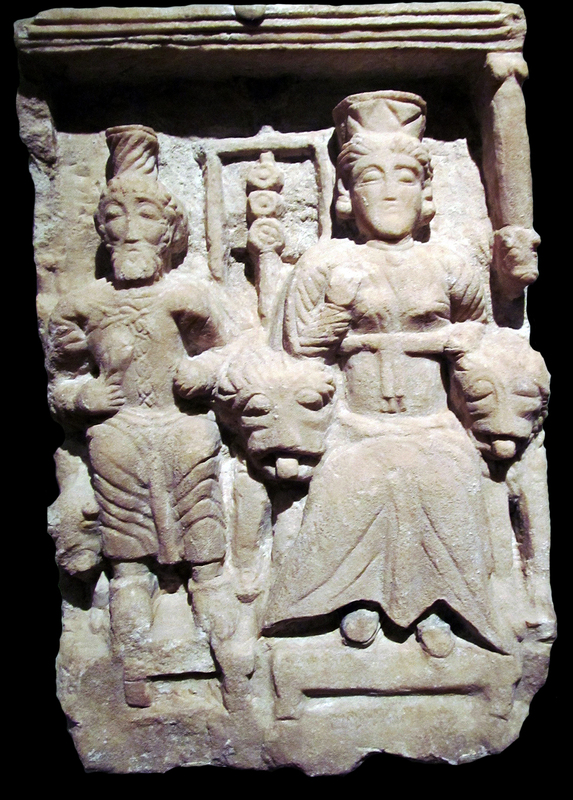 Relief of Hadad and Artagatis. Height = 30.1 cm, width = 12.4 cm, and thickness = 6.2 cm. Yale accession number 1938.4965. 1939 Excavations at Dura-Europos: Preliminary Report of Seventh and Eightn Seasons of Work 1933-1934 and 1934-1935. Yale University Press, New Haven.